Art Fine was the duo of Fabrice Bellini (electronics, vocals) and Rush Blakemann (guitar, synthesizer) from Tuin, Italy. They met in art school and became friends, inspired by New Wave, dance and electronic music. 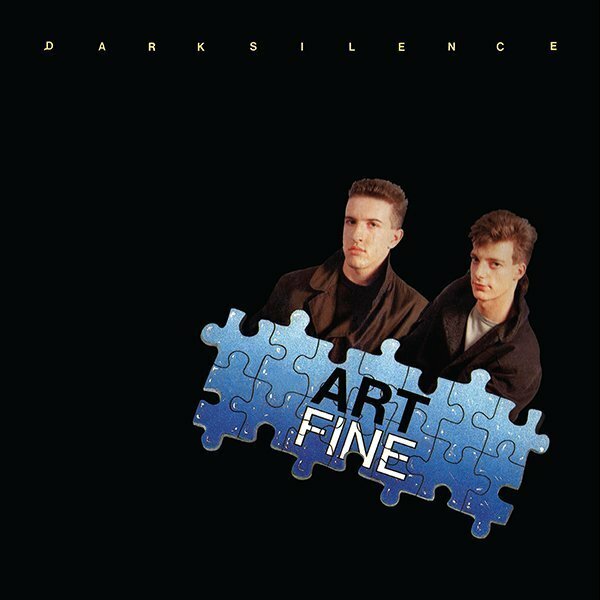 They recorded their only single “Dark Silence” in November of 1984, which was released by Discomagic in 1985. Fabrice programmed the electronic drums using SCI Drumtraks and added extra tracks on the Simmons SDSV. Rush played electric guitar and the Yamaha piano notes at the start of the song. Guest musicians Silvano Borgatta and Riccardo RosaThe “da da da da da" voice effect was done by engineer Gigi Guerrieri, who cut and spliced a tape rather than using a sampler, which was too expensive at the time. “Dark Silence” tells the love story of beautiful girl who Fabrice saw many times but could not reach. He called her Dark Silence, for her dark hair and eyes and the silence unwanted between them. The B-side features a remixed version with extended breaks and dubbed out bass lines and vocals. Both songs are remastered for vinyl by George Horn at Fantasy Studios in Berkeley. The vinyl is housed in the original jacket featuring a photo of the duo and that Art Fine logo in puzzle pieces. Each copy includes a double sided postcard insert with lyrics and liner notes by Fabrice Bellini.